insurance, consumer and telecommunications markets. through leading inbound and outbound contact centre facilities. 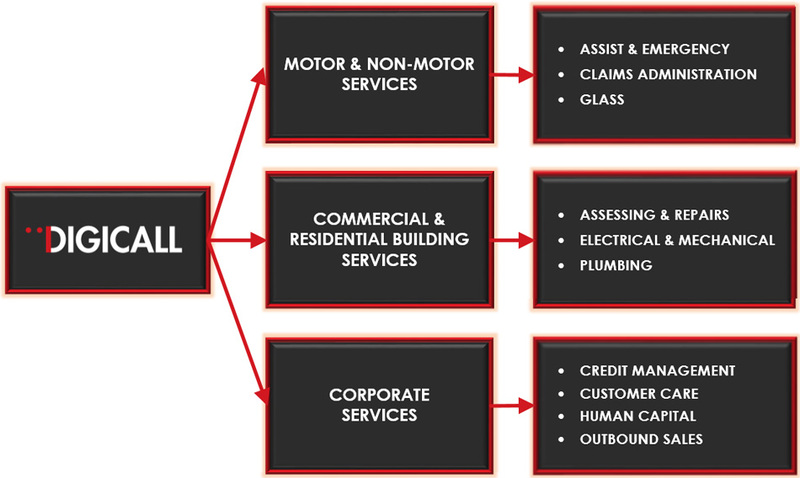 sales and service, debt collection, corporate social investment, contact centres and direct marketing. We provide a single, comprehensive and cohesive service offering. We can also offer stand-alone services within the group. Our focus on service and cost management ensures our ethos is aligned to customer expectation and mutual profitability. Through hard work, dedication and technical expertise our team can reduce your average cost per claim whilst maintaining superior customer service. We use state-of-the-art technology as an enabler to drive our process, cost management and customer service offering.